Now the Camden Assembly and was originally The Monarch back in the early 90s - this was where I first heard 'Little Fluffy Clouds' by the Orb. Still a music venue upstairs, the craft beer selection is decent including a dark porter but there isn't any real ale (it would have been dire back in the day if I remember correctly). With the Enterprise, never a great pub, now managing to be even worse and the Lock Tavern having all 4 ale pumps turned back to front, we had no option but to come here and were reasonably satisfied. As a pub 4/10, as a music venue 8/10. 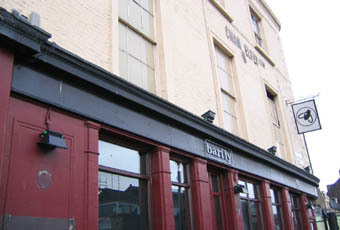 I would never go here just to drink, when there are so many other decent pubs nearby, but often go to see the bands. For the audience size it is one of the best band rooms in London, with great sight lines and (usually) great sound. Their booking policy/quality is above average as well.